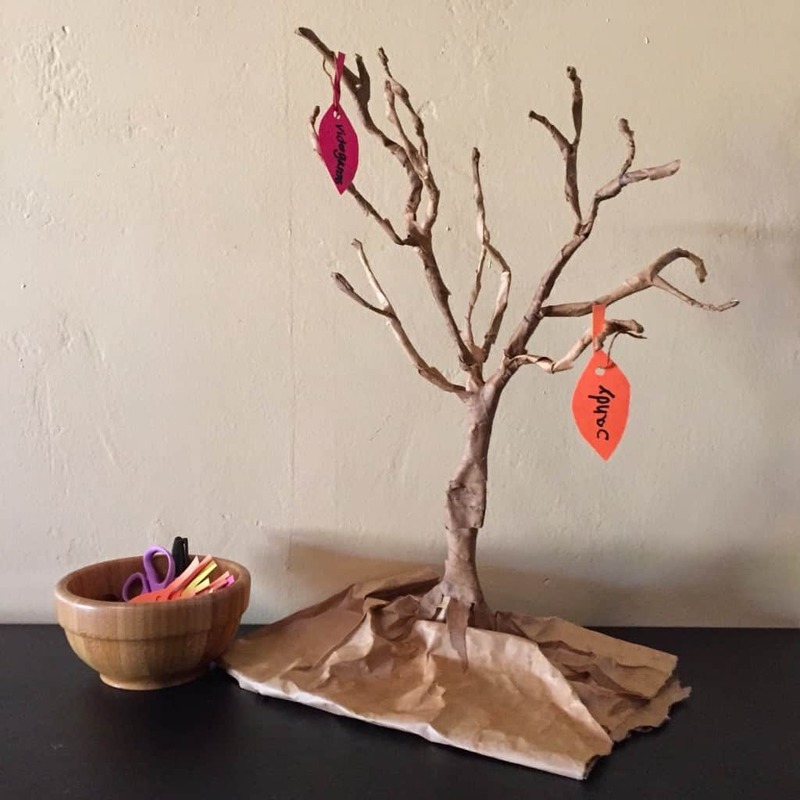 A DIY thankful tree is a fun and interactive Thanksgiving family tradition. 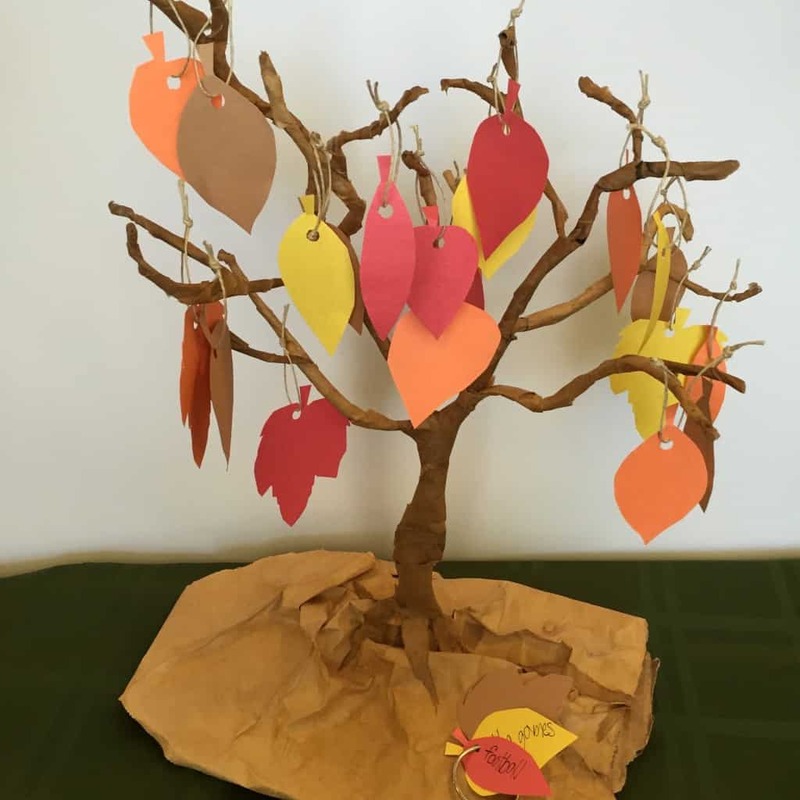 Kids of all ages can help fill the tree and reflect on everything they are thankful for all year long. When we get into early November it hits me… The year is almost over. 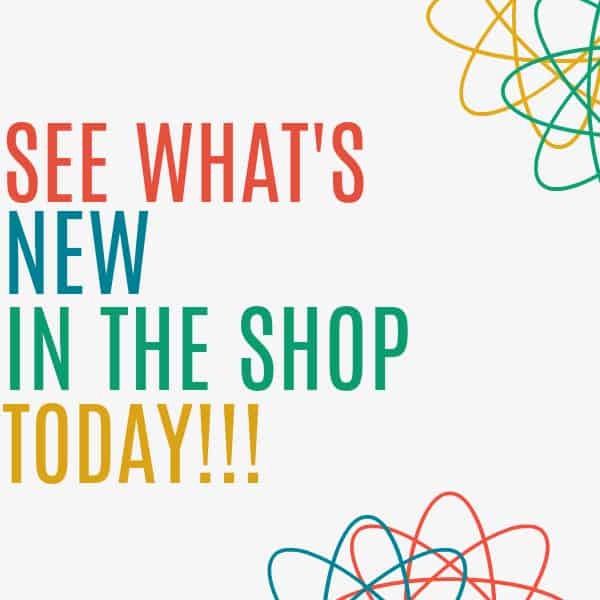 This is a great time to remind our kiddos that we have a lot to be thankful for and reflect on the past year! 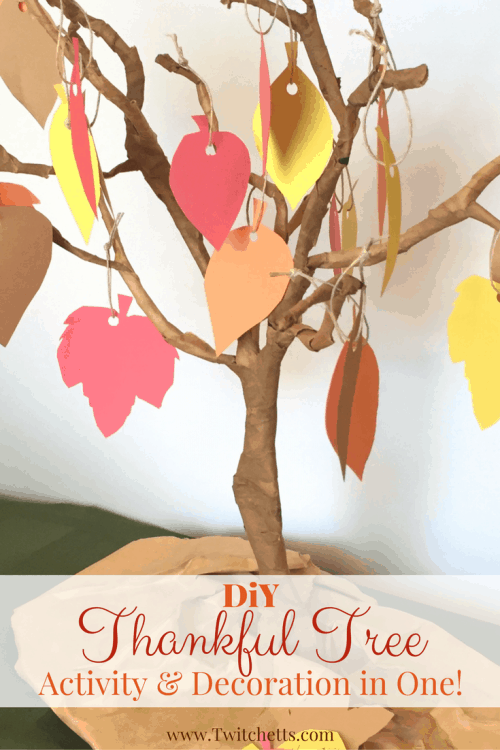 This DIY thankful tree activity keeps them involved all month and is a great decoration for the season. 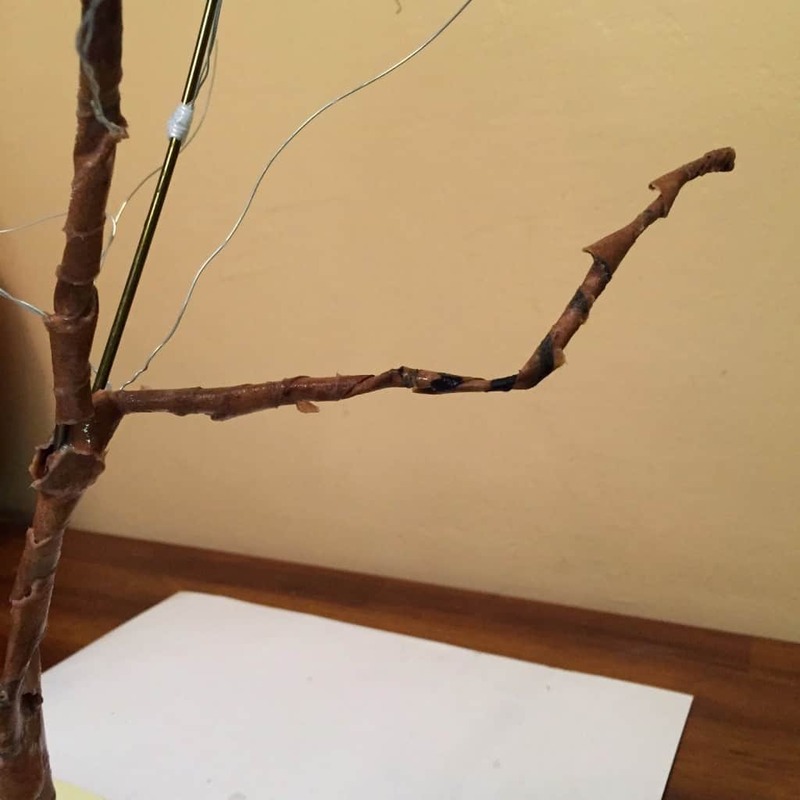 Bend the Hanger to create your main trunk and a couple of branches. 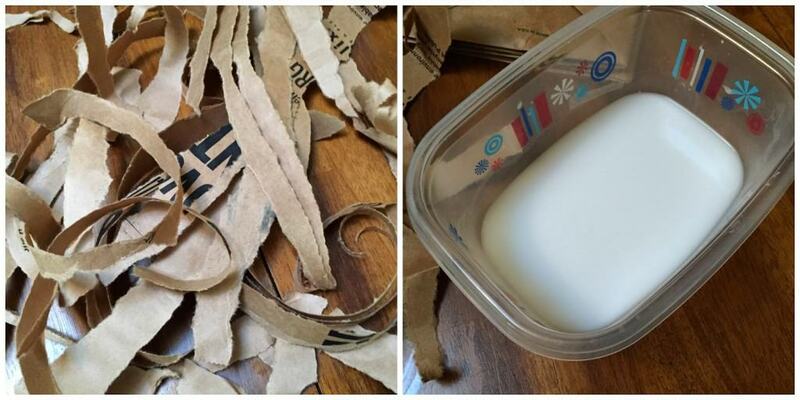 I taped the base to a cereal box here…It didn’t hold well, the glossy coat made it peel off. 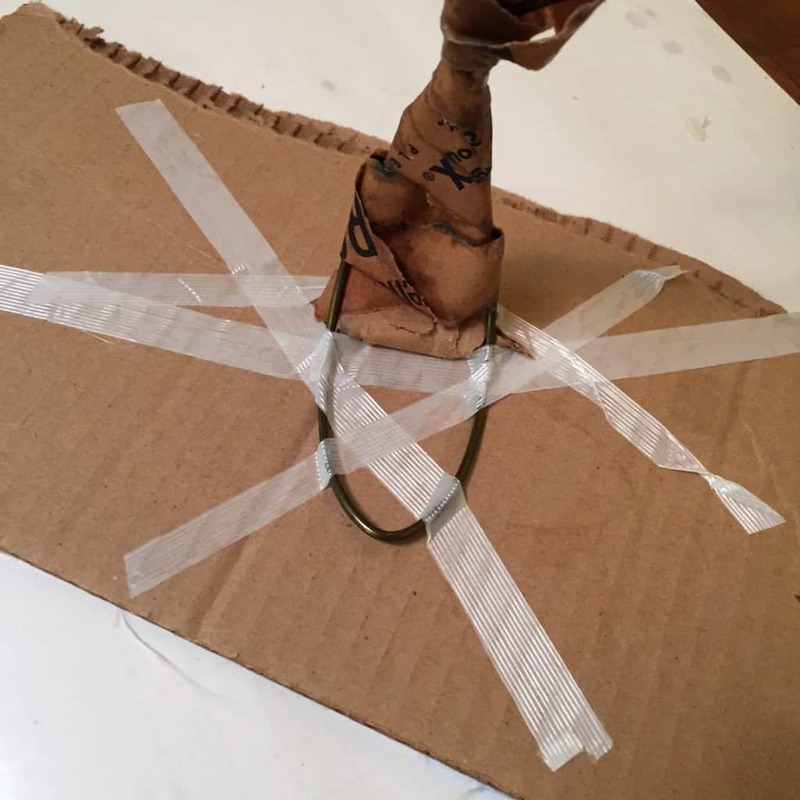 So I moved it to a more sturdy piece of cardboard half way through. This was difficult so I suggest having a good hold before getting started! 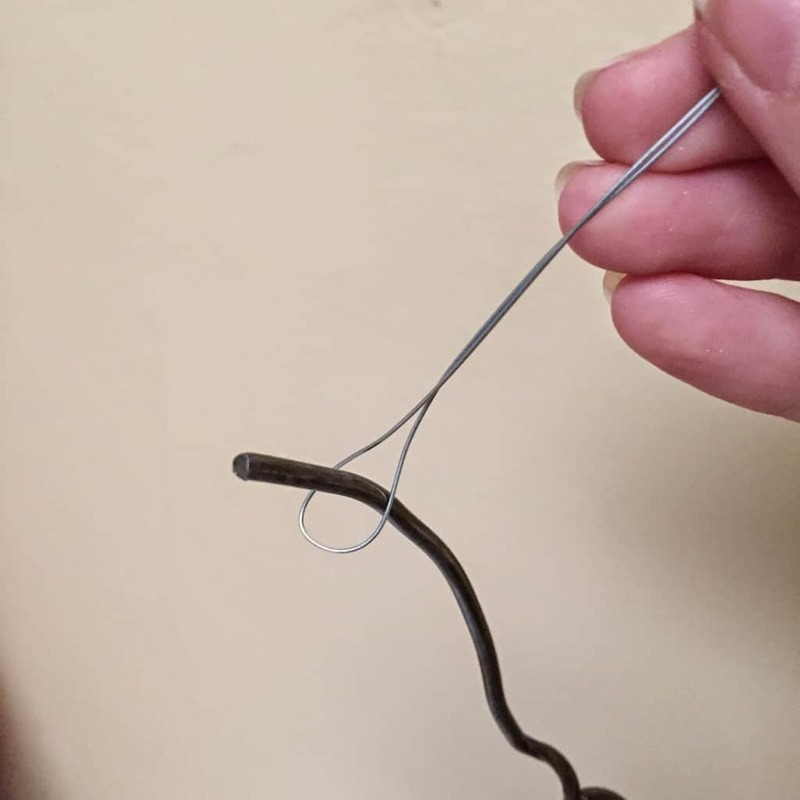 Take the wire and twist it around the hanger to create smaller branches. 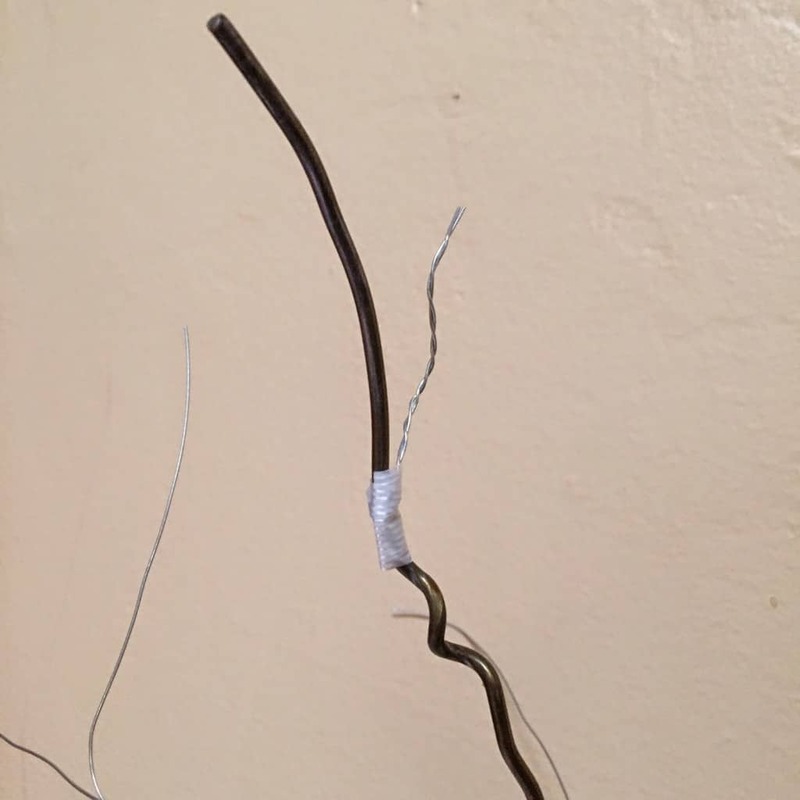 Use tape to keep the branch from sliding down. 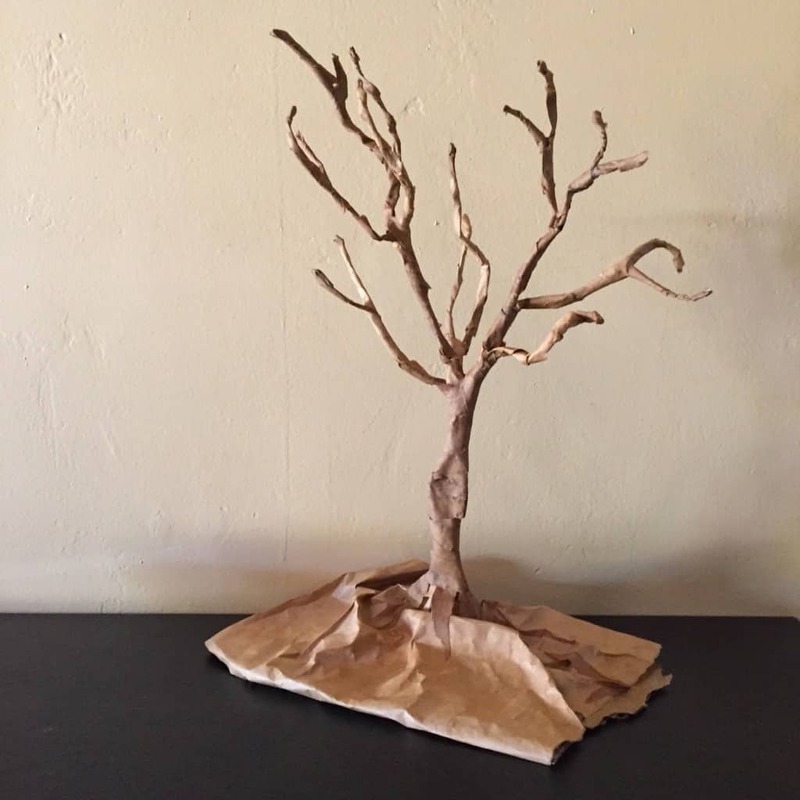 Continue this until you like the look of your tree. 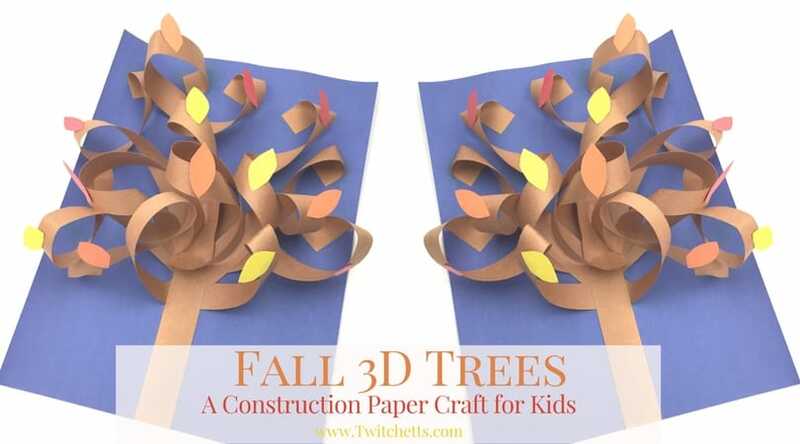 Related Craft: Create a fun and 3D fall paper tree! 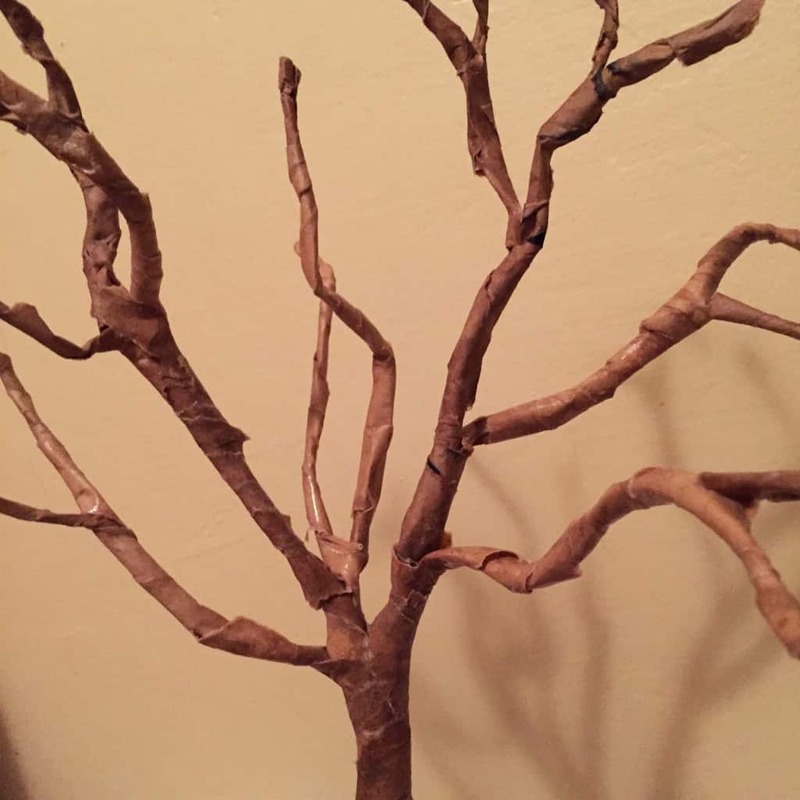 Start dipping strips and wrapping your branches. I found starting at the tips and working your way to the trunk worked best. 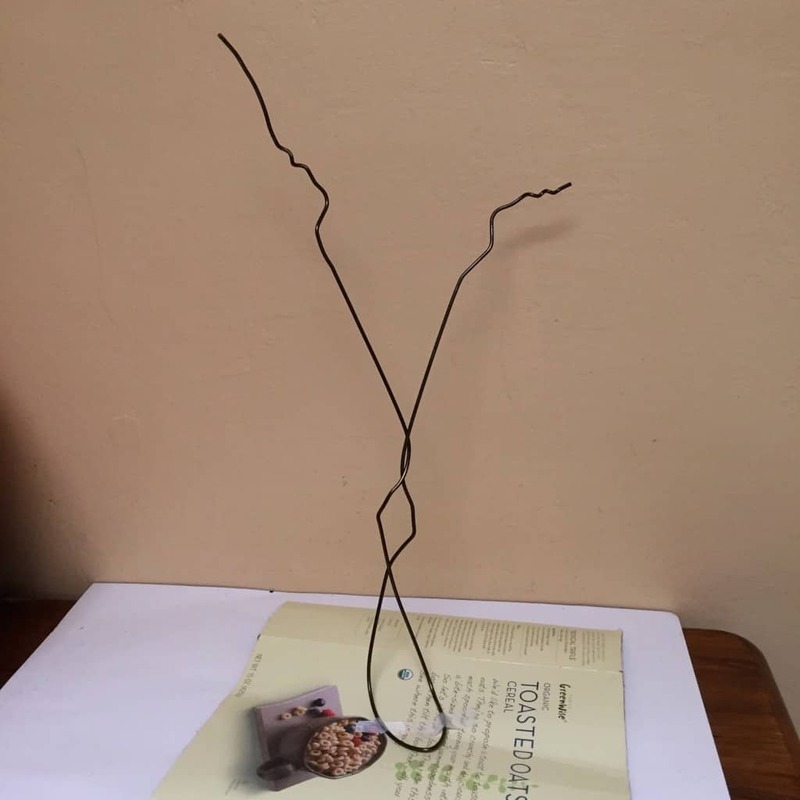 I used clothes pins to hold pieces down while the dried. Cover the entire tree and trunk. 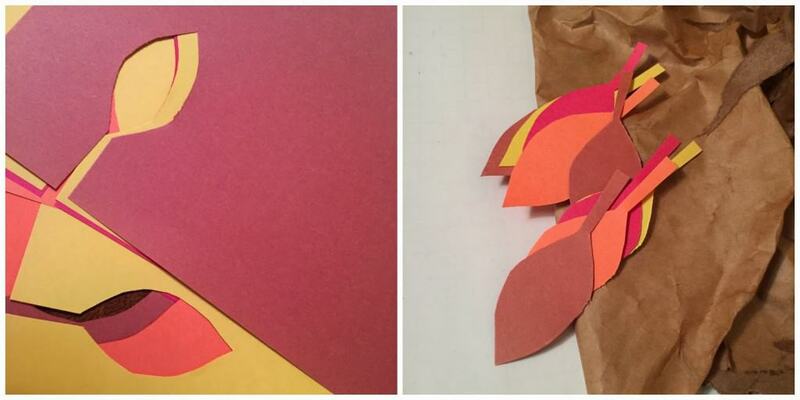 Trim the base, let it dry, and your DIY thankful tree is complete! 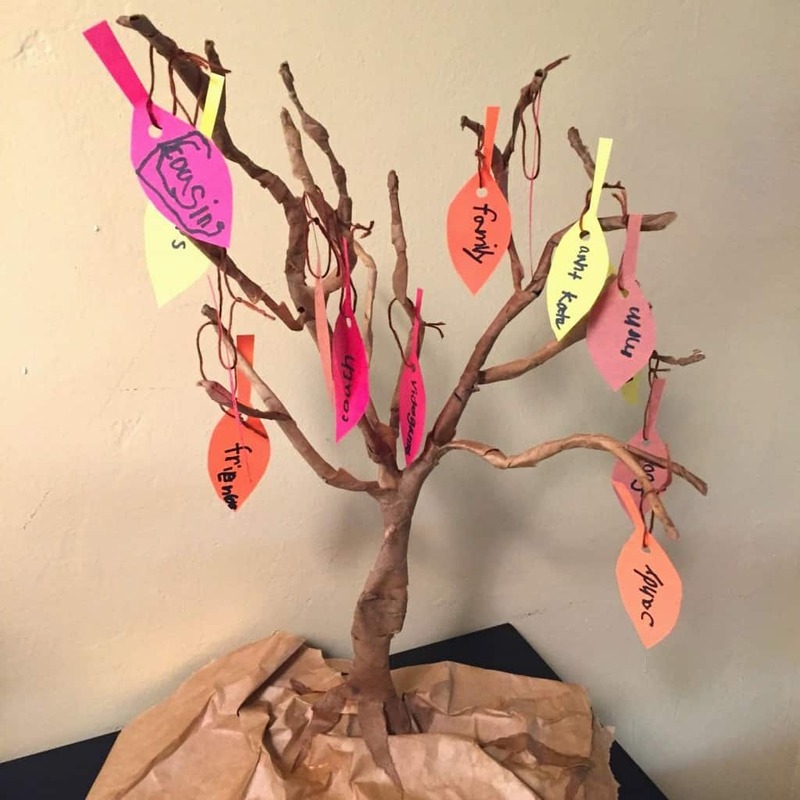 The most important part of this thankful tree is turning it into a Thanksgiving family tradition. 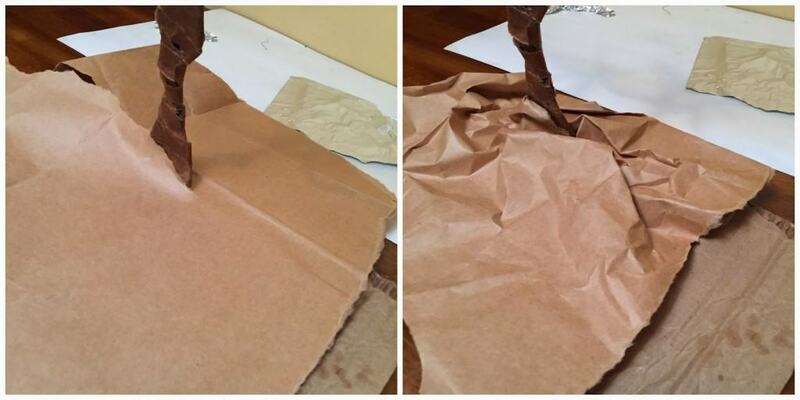 Here’s how we use the tree, but you can make it work for your family or classroom! Start by creating the leaves. 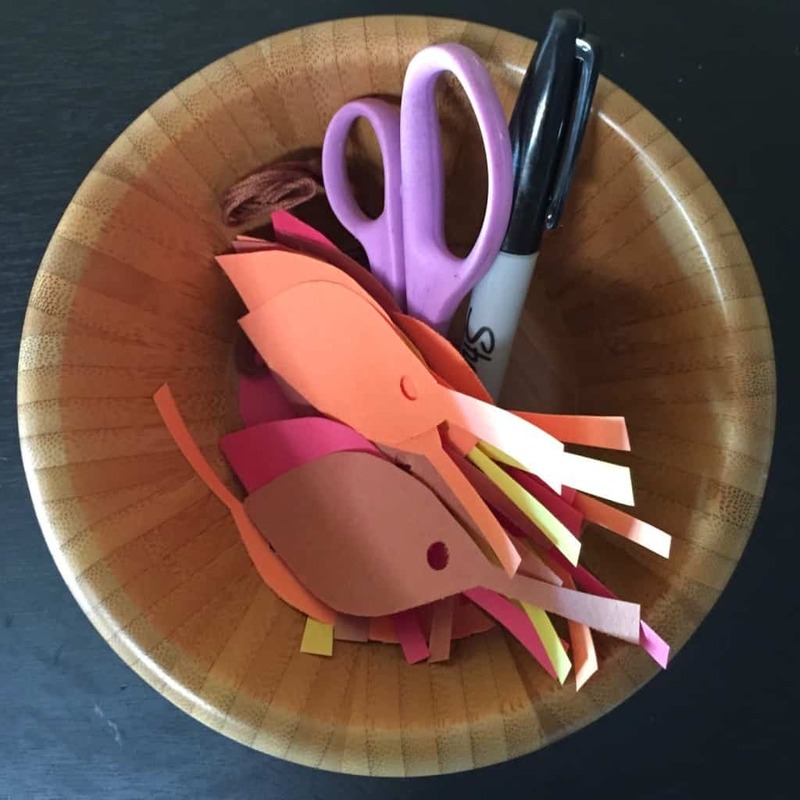 You can use any shape you like. Punch a hole in each leaf. 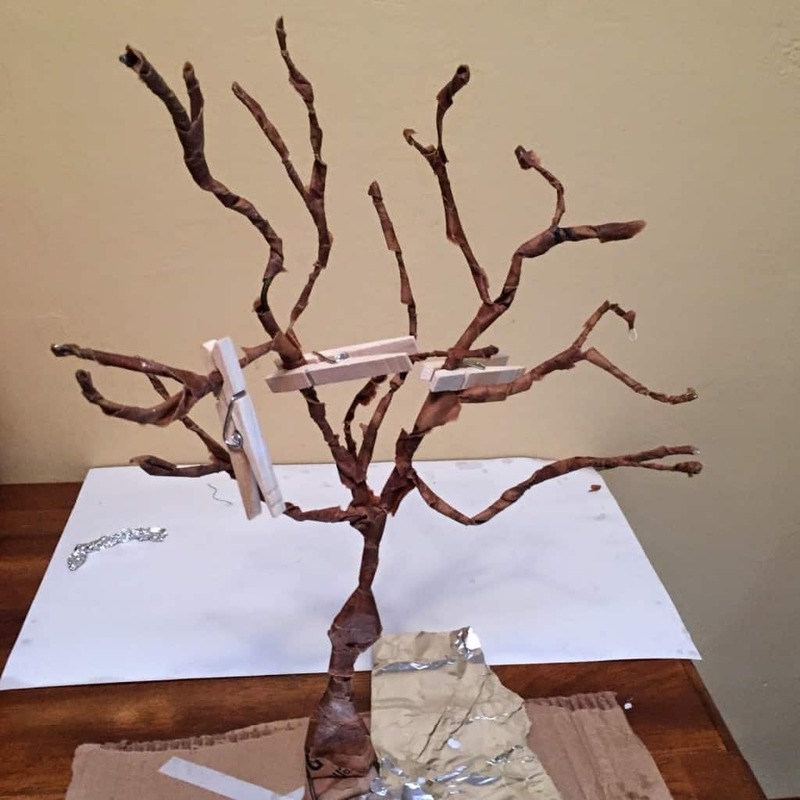 I keep the leaves, a marker, scissors, and string next to the tree. In the morning J writes what he is thankful for. I tie on the string while he tells me about what he wrote. Then he hangs his leaf on the tree. 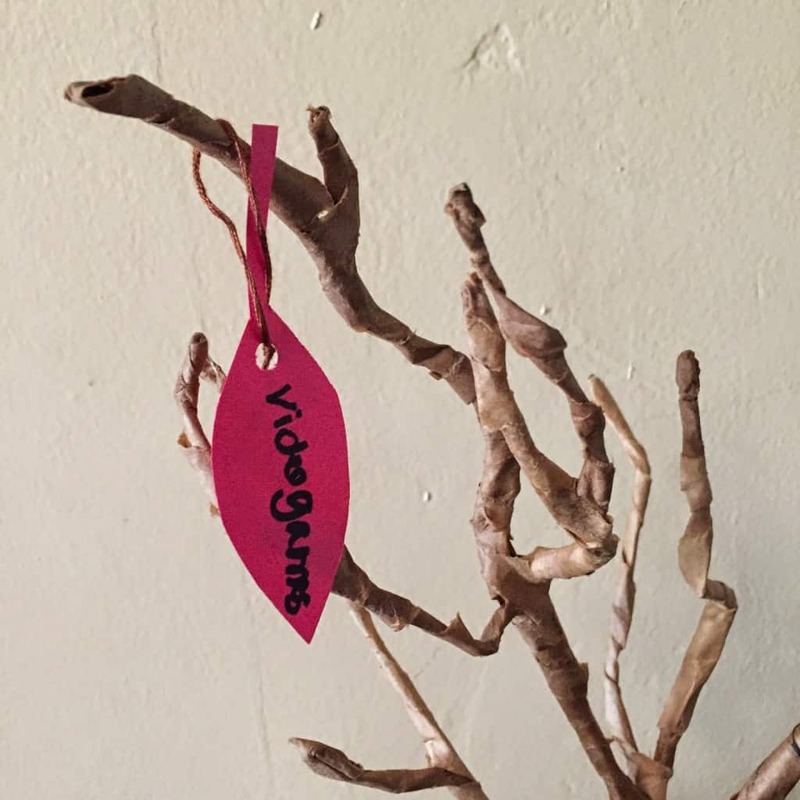 Today he was thankful for video games, because “they are fun”. Yesterday it was candy, because “it is yummy”. 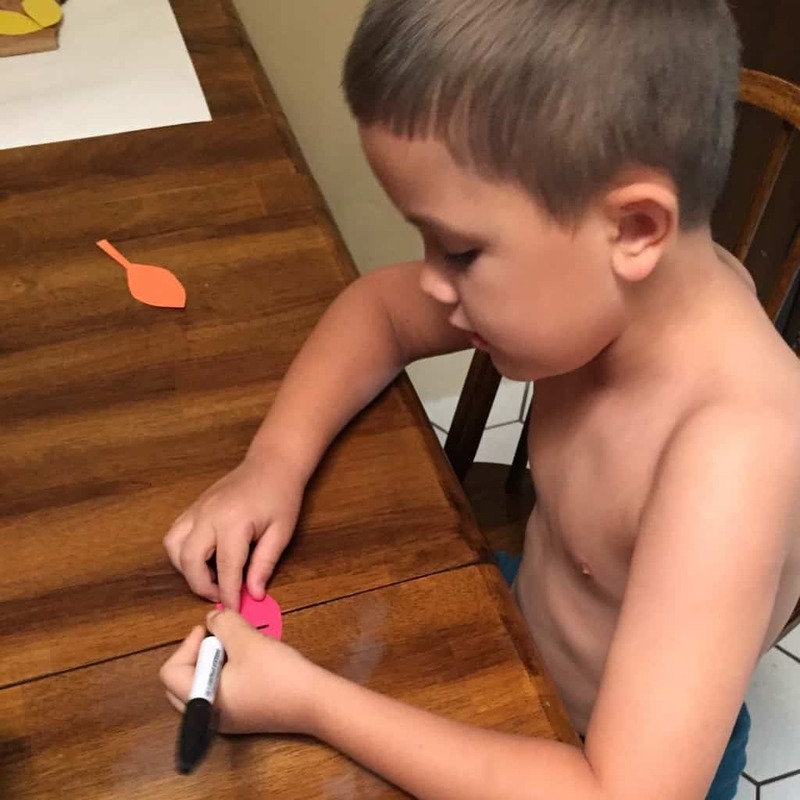 He is 6, what can I say. I told him, there are no wrong answers! 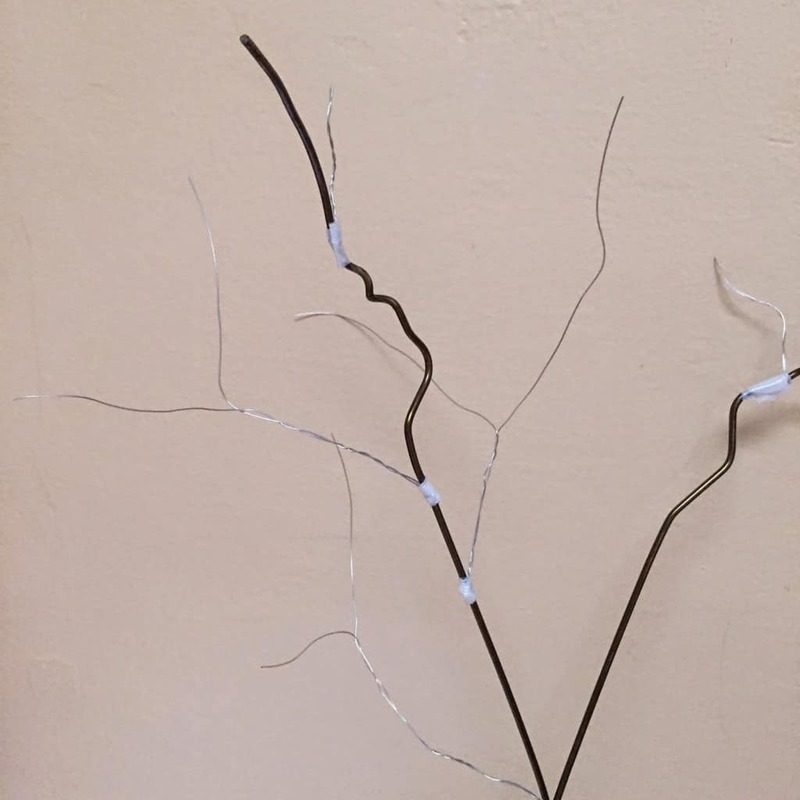 Here is our tree ready to be filled with thankful leaves. By Thanksgiving, it will be a full and wonderful decoration for the holiday. Here is the Thanksgiving tree about halfway to Thanksgiving. Happy to report Mom, Pops, and family were added. 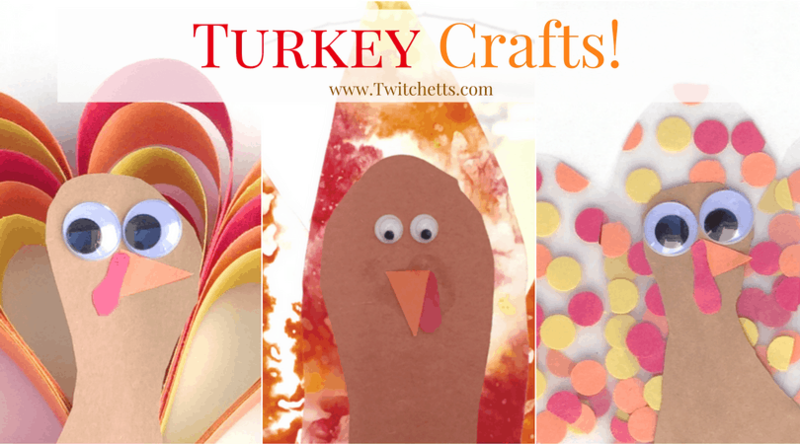 Another way to use this Thanksgiving tradition is to work backward. 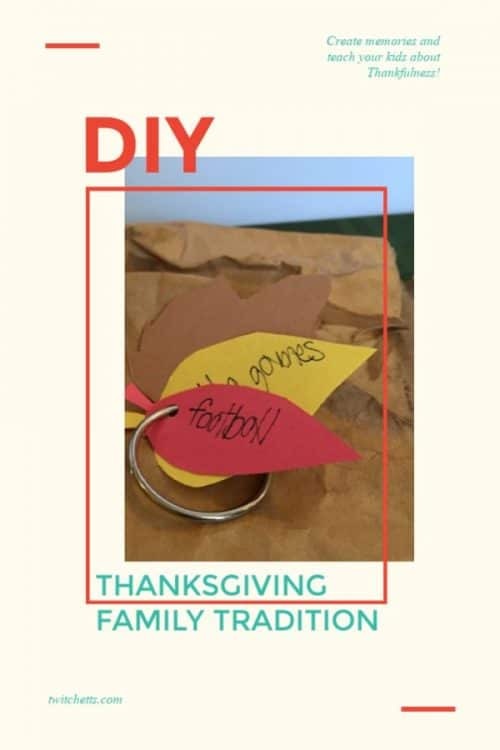 Start with all of the blank leaves on the tree and then add them to a ring as you work through the month. This way J can look through his leaves after the season is over! 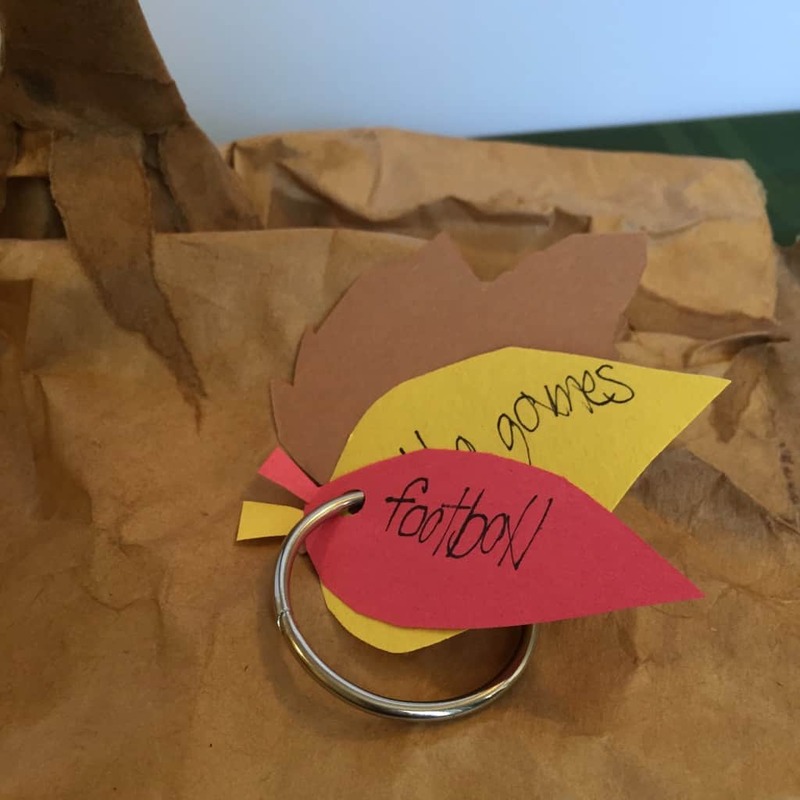 Teaching your kids to be thankful is the most important part of the Thanksgiving season! 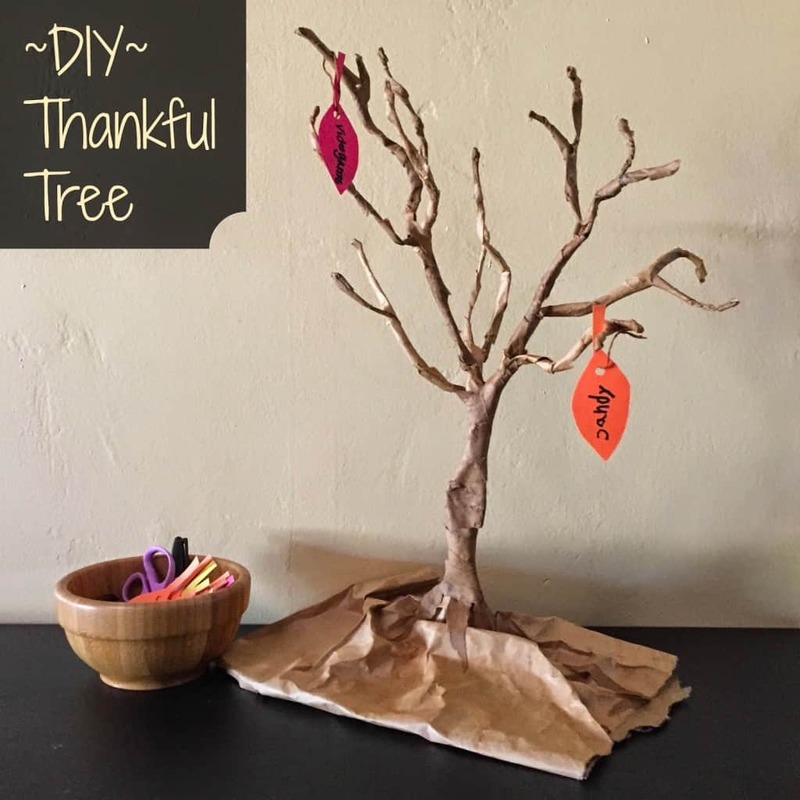 I hope this DIY thankful tree activity can help!! 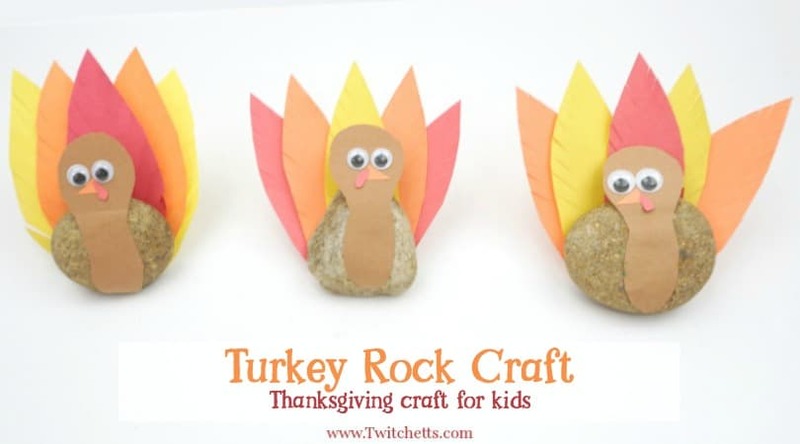 Share this fun kids activity by pinning it to your favorite Pinterest board.